Birthdays are big deal! And while I love celebrating my own, I am now even more excited when's Liam's day rolls around! Perhaps it is because his birth day is also the day that I became a mother. There is no greater day than that. None! If there is one thing I like, it's tradition. So the celebration actually began the night before when the Balloon Man (now Conor) visited the Keenan house and filled our bedroom with balloons! I distinctly remember putting the balloons in Liam's bedroom last year even though he really wasn't sleeping in there. 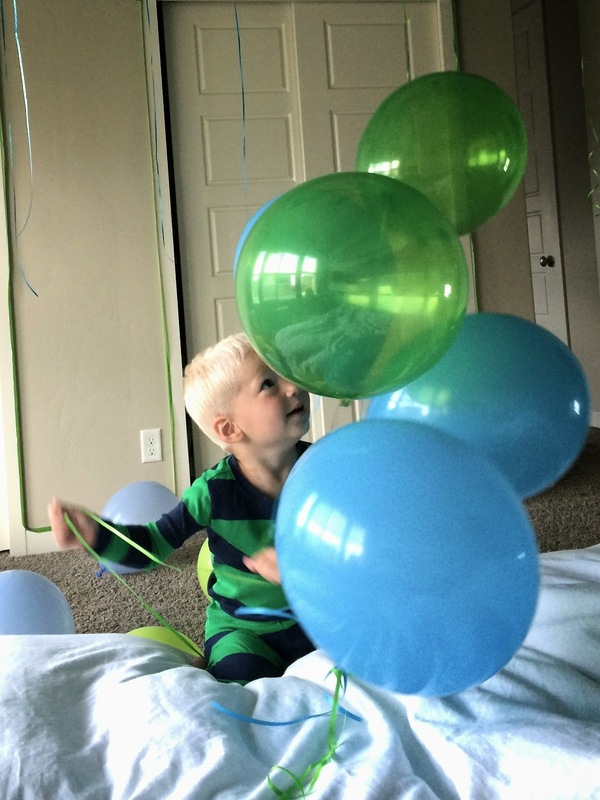 So he didn't get to truly wake up to the balloons; he saw them once we made our way upstairs for a diaper change. I remember thinking that surely he would be in his own room come his 2nd birthday... Well here we are and the little man is still making his way to our room each night (however, he did a 6 hour stretch in his own bed the other night). 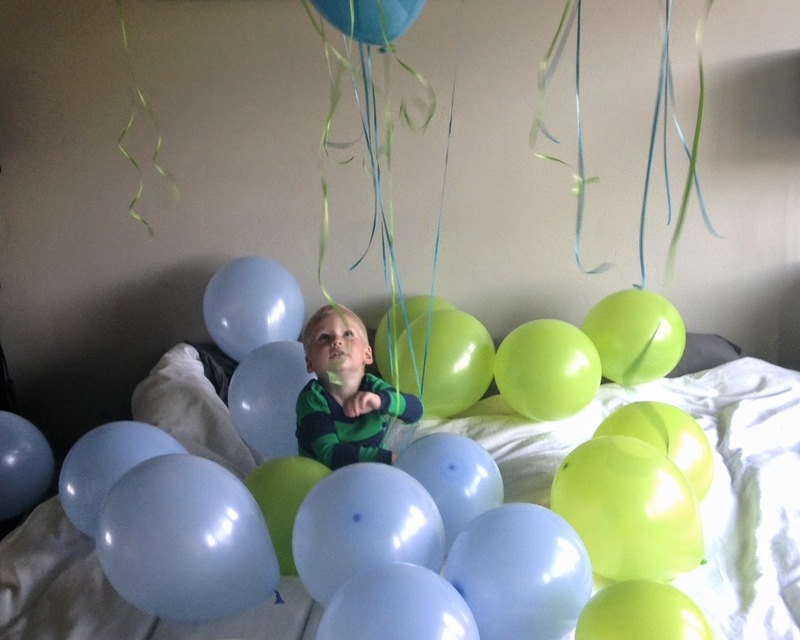 So this year, we just put the balloons in our bedroom so Liam could wake up to the magic! We continued with traditions that morning and had pancakes for breakfast. Last year's "funfetti" pancakes were a bit of a bust, so this year I made a batch of my tried & true pancakes and topped them with nutella! Liam was in love since chocolate is the way to his little heart! 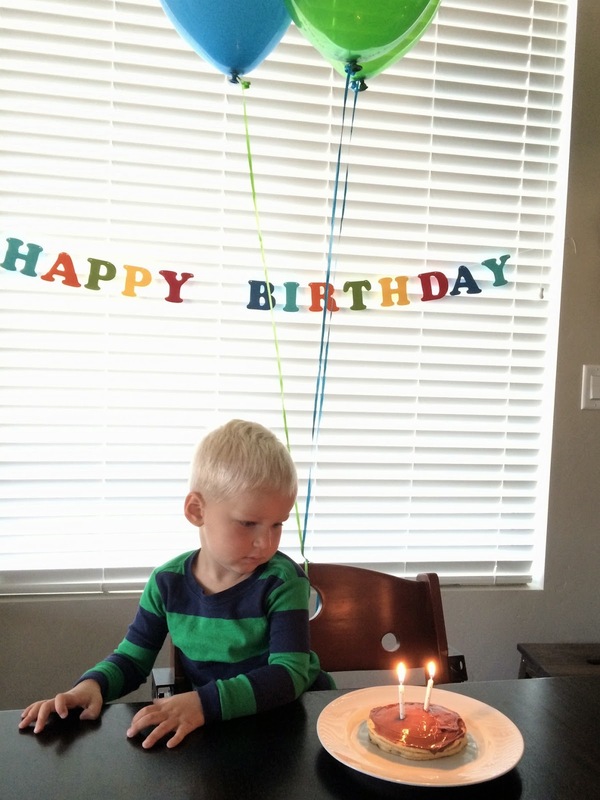 What he wasn't a fan of was those scary birthday candles. He was simply not amused by them! His face: "um, can someone please get this bit of fire off my chocolate? I would really like to just eat them! No fan fare needed!" After breakfast I realized that our camera was broken which made me for quite the unhappy mama bear. 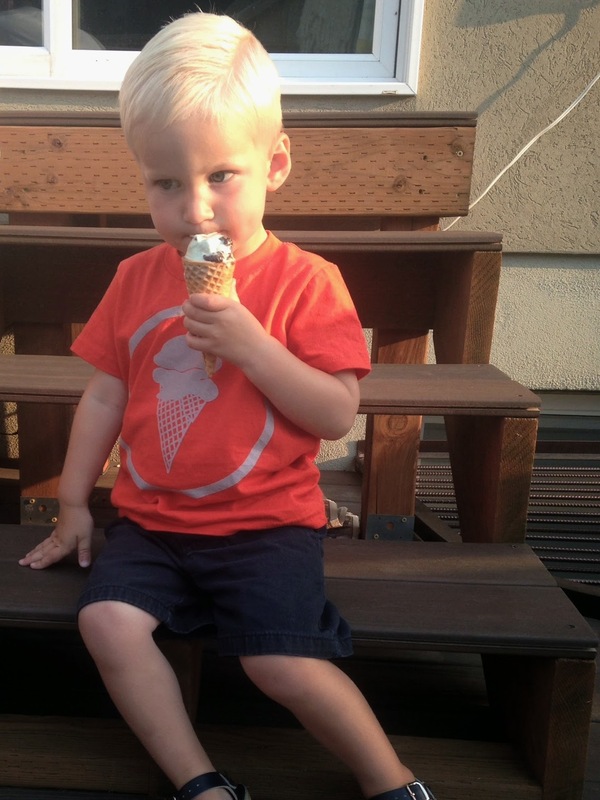 Little L was dealing with some two year molars, so he too was a tad bit on the cranky side... However, I wasn't going to let that stop us from an incredible day! I wanted the whole day to be all about Liam & things that he loved, so we jumped in the car ("I climb in by myself!") and headed to the waterpark! 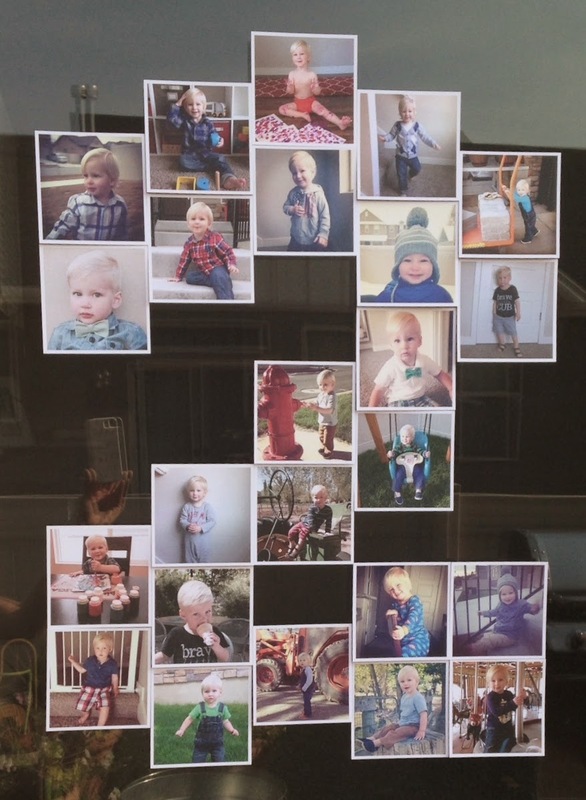 We stayed 'til our little boy was as tired as could be and then headed home for a nap & party prep! 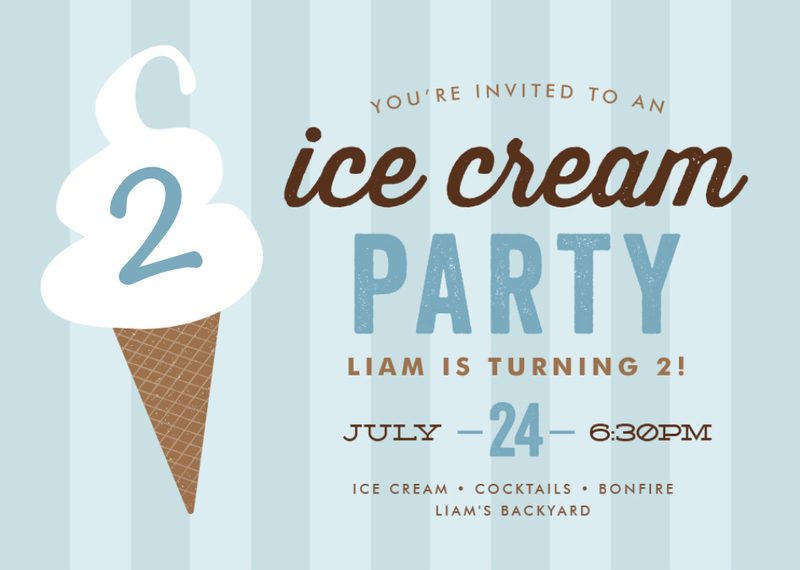 We planned an after dinner icecream party for Liam since that cold, creamy goodness is by far his favorite dessert! We had initially planned on having icecream shipped from my in-laws shop in Whitefish, MT but the Flathead Valley was completely out of dry ice in the days leading up to L's birthday. We scrambled & found some other local, handmade icecream as a backup. However, none of those details seemed to matter once Liam's friends started showing up! He loves being around other kids and his party was no exception! There were bubbles & sweets everywhere, his own little paradise. There were about 15 adults & 10 kids tossing back drinks & running around (respectively). It was the ultimate summer night with friends! Conor & I seem to always be putting the final touches on things last minute, so I hardly took any pictures of the set up (in fact just two pictures)...and I still had that broken camera dilemma. However, this allowed me to be more present in each moment and simply enjoy my time with the birthday boy! His birthday just happens to be Pioneer Day here in Utah, so the sky was filled with fireworks that night. Enjoyable at first, but then not so much come bed time. I don't think Liam fell asleep until after 11 pm! Our day of celebration was everything I had hoped for! His 3rd year of life is already off to an exciting start! His face at the candles is priceless! 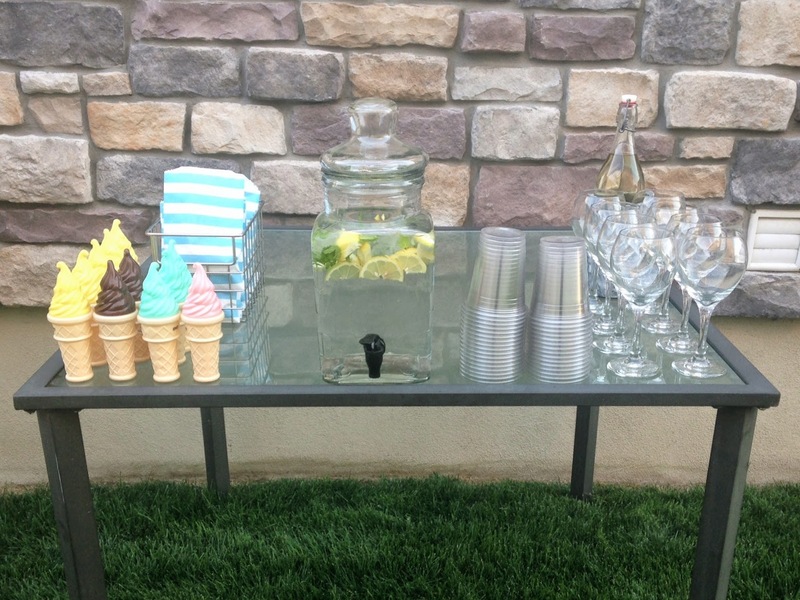 I love the ice cream party idea! I want one for MY next party. Too bad my birthday is in march and some people think it's weird eating ice cream in the winter! I also want to do the "2" photo display! Love it and pinning it! I'm also stealing the balloon idea! Just have to figure out what room he will be waking up in ;). I too hope it will be his crib but highly doubt it at this point! Love the ice cream theme, happy birthday bud!!!! Wow you did an awesome job!! Love the ice cream theme!! So cute!! Looks like he had a blast!! Happy birthday Liam!! Love the balloon tradition! Happy happy birthday Liam! What a fun birthday! I love the ice cream there. That picture of Liam with the pancakes is just too funny! I have a feeling Joey would react the same way; she would just want to get to the food without any obstacles. I hope Liam had an amazing birthday; it looks like he did! Love the balloons and the 2 shaped pictures is SO cute! Happy belated Birthday to your big boy!! This is a great party! Ice cream theme? Um, yes please! I'll be turning 31 in a couple of months. Do you think you can plan an ice cream party for me too?! 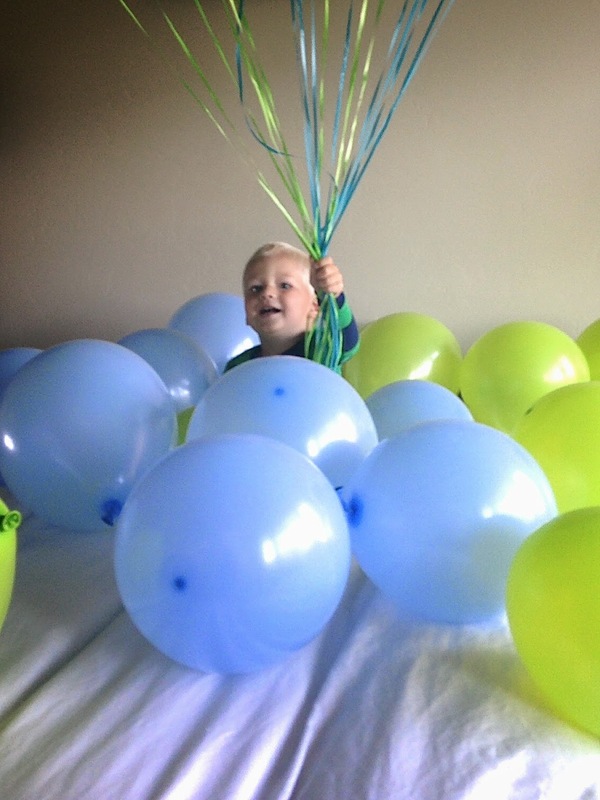 Randomly stumbled upon your blog: Love the idea of Liam waking up to balloons! Such a fun birthday tradition!! 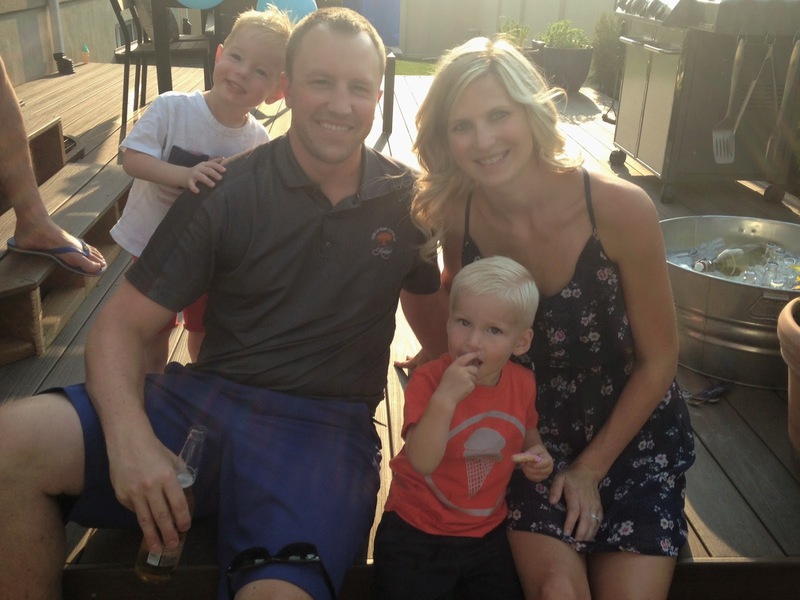 That ice cream party sounds right up my alley too!! Thanks for sharing! LOVE the party theme!!!! We did balloons for Mason's birthday too and he LOVED them! I love Liam's face in the photo with the candles. Umm, mom, no fire, just eating! Glad you guys had such a good time! Happy birthday Liam! hahaha, his face with the candles! priceless. I love the morning balloons idea. Def copying it. And I love your ice cream party. Since Aria is a Dec baby I've kind of liked the idea of a half bday type thing..not a party, but a simple get together. An ice cream social sounds like it could be awesome.